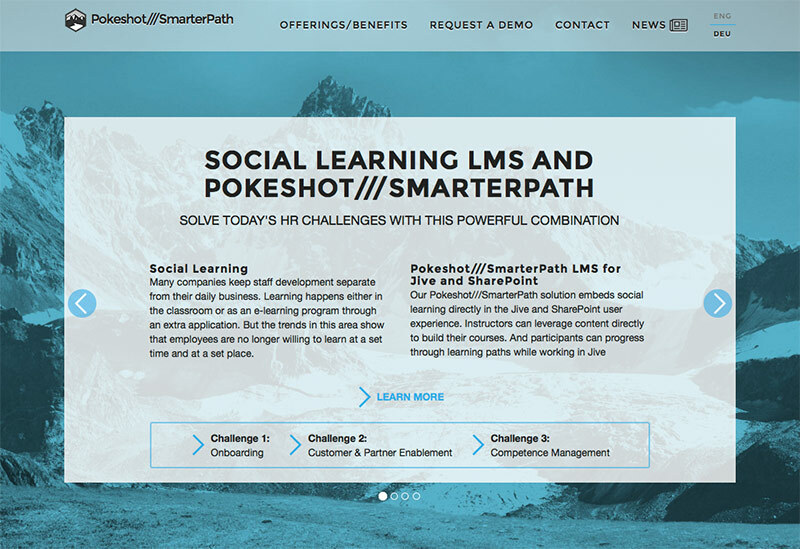 The new site provides the social business solution provider’s current and prospective customers with even more details and insights on how to introduce social learning into their staff development initiatives and what role Pokeshot///SmarterPath can play in such efforts. This primarily concerns HR practices such as onboarding, sales enablement and talent management, which companies can implement in a number of different ways. The social learning experts at Pokeshot///SMZ guide you step-by-step through the process of developing the most relevant use cases for your organization while also showing how to specifically integrate these into your staff development program. The new site also includes more in-depth information about the many advantages of Pokeshot///SmarterPath as well as Pokeshot///SMZ’s range of offerings for social learning. Customers find out how they will individually benefit from using Pokeshot///SmarterPath to practice social learning and how Pokeshot///SMZ can help them get the most from the tool. 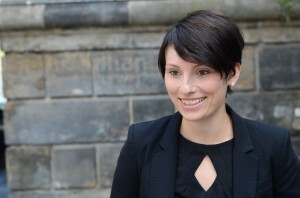 In addition, the site makes it easier for customers to get in touch with the company’s experts and simplifies the process for requesting a Pokeshot///SmarterPath demo. 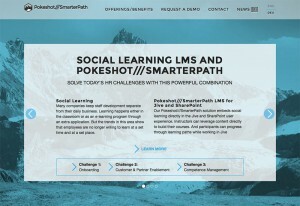 Pokeshot///SMZ is excited about being able to keep its customers better informed about new developments in social learning and about what’s new with Pokeshot///SmarterPath. To enable them to easily join and follow the conversation on this timely topic, SmartSocialLearning is now also on Twitter.